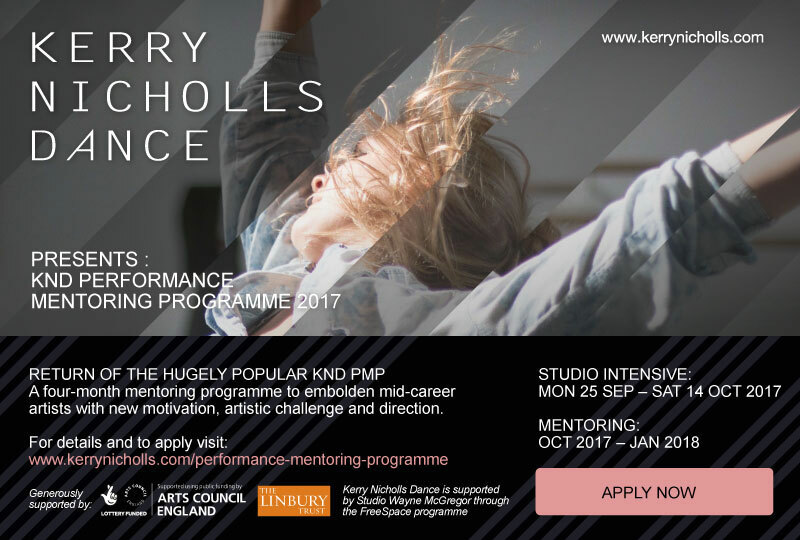 Devised and delivered by Kerry Nicholls Dance to boost professional dancers mid-career, we are offering rigorous technical training and thought-provoking workshops from expert guest artists, all underpinned by a tailor-made, individual mentoring process. The PMP supports sustainable artistic lives and provides an inspiring, powerful space for thinking and doing. At a critical point in a dancer’s career, this four-month programme will prepare a small, select group of dancers for an ever-changing and varied job landscape. This begins with an extended three-week studio-intensive encompassing classical and contemporary technique, a varied platform of workshops exposing a range of performative approaches and work on audition techniques, CV/show reel advice, networking opportunities and professional development seminars – all delivered by internationally sought-after artists. Continuing on from the studio-intensive, Kerry will regularly mentor each artist on a one-to-one basis for a further three months to encourage and confront current practice within a person-centered structure and support new thinking and artistic development. The PMP supports artists who are seeking the challenge and inspiration to find new ways of becoming leaders of their own careers. Where: Studio Intensive takes place at Studio Wayne McGregor, Here East, Queen Elizabeth Olympic Park, London E20 3BS. • Applicants should have graduated at least 4 years ago with a high technical ability and an enthusiasm for expanding their skill set. 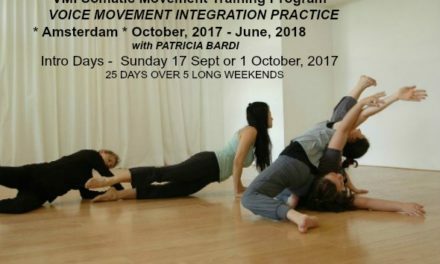 • Applicants must be available for the full three weeks of the intensive. The three months of mentoring thereafter will be flexible to suit individual schedules. To be considered, please send your CV, evidencing a strong career portfolio, along with a cover letter of no more than 300 words outlining what you hope to gain from the four-month programme. Shortlisted applicants will be interviewed in the last two weeks of August.